1) (Chicksand Priory, co. Bedford, bart.). Ar. a bend betw. two lions ramp. sa. Crest—A lion’s head ppr. ducally crowned or. Motto—Quantum in rebus inane. 2) Ar. a bend betw. three lions ramp. sa. Crest—A lion’s head erased ar. ducally crowned or. 3) Osborn Wyddel (claiming descent from a younger son of the House of Desmond, said to have settled in Wales, circa 1237, temp. Llewelyn the Great; he founded several of the most distinguished families in co. Merioneth, among others, Vaughan, of Corsygedol; Wynne, of Ynysmaengwyn, and Maesyneuadd, now extinct, and Wynne, of Peniarth). Erm. on a saltire gu. a crescent or. Crest—On a chapeau gu. turned up erm. a boar pass. ar. fretty gu. 4) (Peppermilne, co. Edinburgh, 1672). Gu. a bend surmounted by a fess ar. Crest—A sword in pale ppr. Motto—Je gagne. 5) (Duke of Leeds). Quarterly, 1st and 4th, quarterly, erm. and az. a cross or, for Osborne; 2nd and 3rd, ar. semée of crosses crosslet and three cinquefoils ar., for D’Arcy, all over the imperial eagle. Crests—1st: An heraldic tiger pass. or, tufted and maned sa., for Osborne; 2nd: A dolphin embowed sa., for Godolphin; 3rd: On a chapeau gu. turned up erm. a bull sa. armed or, for D’Arcy. Supporters—Dexter, A griffin or; sinister, an heraldic tiger ar. each gorged with a ducal coronet az. Motto—Pax in bello. 6) (Hartlip Place, co. Kent, temp. Edward IV. ; Elizabeth, dau. of Thomas Osborne, Esq., of Place House, Hartlip, and co-heiress of her brothers, in. 1810, Richard Tyrden, of Milsted, in the same co., and devised her whole property at her decease, 1766, to her two daus., Mary and Philippa, the former of whom m. Rev. Thomas Bland, M.A., Vicar of Sittingbourne. At the death of William Bland, his cousin, Rev. 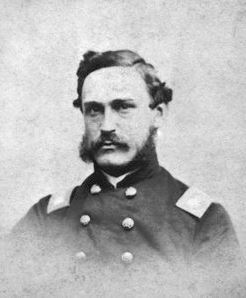 Henry Godfrey Fausett, s. to Hartlip, and took the name of Osborne). Quarterly, ar. and az. on a cross or, five annulets sa. in the 1st and 4th quarters an erm. spot. Crest—A demi ounce ramp. erm. pellettée, collared and lined. 7) (Osborne House, Spondon, co. Derby). Ar. a bend sa. betw. two lions ramp. gu. Crest—A demi lion ramp. gu. 8) (co. Derby). Or, on a bend betw. two wolves’ heads erased sa. three dolphins of the first. Crest—A pelican in her nest feeding her young or. 9) (Cleby, co. Essex, and Kirkby Bydon, co. Norfolk). Ar. on a bend betw. two tigers salient sa. three dolphins or. Crest—Out of a ducal coronet or, a tiger’s head sa. armed and crined of the first. 10) (co. Kent and London). Quarterly, erm. and gu. a cross or. 11) (Ashford, Kent, London, and Keyton, co. Notts; Lord Mayor of London, 1583; Visit. London, 1568, and Visit. Notts). Quarterly, erm. and az, a cross or. Crest—An heraldic tiger pass, or, tufted and maned sa. charged with a pellet. 12) (Kelmarsh, co. Northampton; of this family was Sir Robert Osborne of Kilmarsh, an eminent lawyer, temp. Charles I.). (St. Ives, co. Huntingdon; a branch of Osrobne, of Kelmarsh). Quarterly, erm. and az. a cross engr. or. Crest—A tiger pass. ar. crested and tufted sa. Motto—Pax in bello. 13) (London). Ar. a bend ermines betw. two lions ramp. sa. Crest—A lion’s head erased ar. ducally crowned or. 14) (co. Norfolk). Ar. a bend betw. two tigers sa. 15) (Debenham, co. Suffolk). Sa. a griffin segreant betw. ten billets or. Crest—A unicorn pass, or, ducally gorged, ringed, lined, armed, and crined sa. 16) (London, temp, Henry VI.). Ar.on a bend cotised sa. three trouts or. 17) (London, temp, Henry VI.). Quarterly, ar. and az. in the 1st and 4th an erm. spot, in the 2nd and 3rd a cross or, charged with five annulets sa. 18) (London, temp, Henry VI.). Az. a chev. erm. betw. three pelicans or, vulned gu. 19) Gu. three dolphins or. 20) Ar. on a bend betw. two tigers sa. armed and langued gu. three dolphins or. 21) Gu. a bend betw. three dolphins or. 22) Ar. on a bend cotised sa. three fishes of the field. 23) Quarterly, ar. and az., the 1st and 4th quarters charged with an erm. spot, on a cross erminois five annulets gu. 24) Erm. two bars gu. on a cbief of the last a lion pass. guard. or. 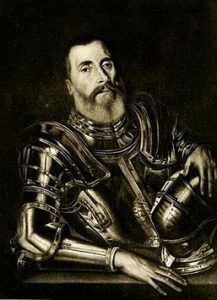 25) (Sir Henry Osborne, knighted by Robert, Earl of Essex, Lord Lieutenant of Ireland, in co. Meath, 23 July, 1599). Quarterly, erm. and az. a cross or. 26) (Fun. Ent. Ulster’s Office, 1615, Katherine Osborne, wife of George Sexton, Secretary to the Lord Deputy of Ireland, Sir Arthur Chichester). Gu. on a fess ar. betw. two barrulets or, as many fountains, over all a bendlet of the second. 27) (Kiveton, co. York; Impalement Fun. Ent. Ulster’s Office, 1641, Right Hon. Christopher Wandesford, Lord Deputy of Ireland, whose second wife was Alice, dau. of Sir Hewet Osborne, Knt. of Kiveton). Quarterly, erm. and az. on a cross or, five pellets. 28) (Beechwood, co. Tipperary). Gu. on a fess cotised or, two fountains, bend ar. Crest—A sea lion holding a trident. Motto—Pax in bello. 29) (Bernal-Osborne, Newtown-Anner, co. Tipperary; Katherine Isabella Osborne, only dau. and heiress of Sir Thomas Osborne, eighth bart. of Newtown-Anner, m. 1844, Ralph Bernal, Esq., M.P., who assumed, by royal licence, 1844, the additional surname of Osbobne). Quarterly, 1st and 4th, gu.on a fess or, cotised ar. two fountains, over all a bend of the third charged for diff. with a cross crosslet az., for Osborne; 2nd and 3rd, vair three chevronels or, on a canton gu. a tower ar., for Bernal. Crests—1st, Osborne: A sea lion sejant ppr. supporting with the dexter paw a trident sa. headed or, and charged for diff. on the shoulder with a cross crosslet az. ; 2nd, Bernal: A demi lion per fess gu. and vair, langued az. holding a torch or, fired ppr. Motto—Pax. The name is Viking in origin, as it derives from the Norse personal name Asbiorn (or Åsbjørn), which itself is composed of the elements as (god) and bjorn (bear). It was present in England before the Norman Conquest of 1066 AD. It was later reinforced by the Norman name Osbern. This is a baptismal/patronymic surname meaning “the son of Osbern”, which is an ancient personal (first name). However, another source (the book an Etymological Dictionary of Family and Christian Names by William Arthur published in 1857) asserts the name is Saxon in origin, deriving from the words hus (house) and bearn (a child), meaning an adopted child. Two famous bearers of the personal name were killed in the same battle in 1054 AD: Osbern Pentecost, a Norman fighting for Macbeth, and Osbern, the son of Earl Siward, with his father at the head of the victorious Northumbrians. The first name Osbern was common in the Domesday Book of 1086 AD, which was a survey of England and Wales ordered by William the Conqueror. The family first became established in Kent, England, where they descended from a branch of the Fitz-Osberne family, where a one Thomas Osberne was listed on a writ of Quo warranto for the Abbey of Dartford. The original progenitor of the family was Osberne Fitz-Letard who owned the lands of Odo in Bayeaux in 1086 AD. Many people with this name descended from Sarum in Normandy, France. Some spelling variants or names with similar etymologies include Osborn, Osbourne, Osbornne, Osbourn, Osburne, Osburn, Osberne, and others. The last name Osborne ranks 457th in popularity in the United Status as of the 2000 Census. The name ranks particularly high in the following four states: Kentucky, West Virginia, Ohio, and North Carolina. The spelling variant Osborn ranks 991st. The surname Osborne frequency/commonness ranks as follows in the British Isles: England (231st), Scotland (522nd), Wales (202nd), Ireland (920th) and Northern Ireland (471st). In England, it ranks highest in Cornwall. In Scotland, the surname Osborne ranks highest in counties Orkney, Shetland, Wigtownsdhire, and Ayrshire. In Wales, it ranks highest in Glamorganshire. In Ireland, it ranks highest in county Wicklow. In Northern Ireland, it ranks highest in Wicklow. The name is also present throughout the remainder English speaking world: Canada (614th), New Zealand (200th), Australia (272nd), and South Africa (1,110th). The first documented bearer of this last name was Henry Osbern who was documented in the Camrbridge Assize Court document in 1260 AD. The Hundred Rolls of 1273 AD, a census of Wales and England, known in Latin as Rotuli Hundredorum lists two bearers of this surname: Gerard filius (son of) Oseberne in county Huntingdonshire, Robert and Oseberne in county Oxfordshire. Walter Osborn was documented in Cambridge in 1310 AD. Andrew Hosborn was found in Somerset in 1327 AD. Elena Usburne was documented in Yorkshire in the Poll Tax Rolls of 1381 AD. Some early marriages involving this surname include Ann Osburn to George Avius at St. George’s Hanover Square in 1790, William Osbon to Mary Thackham in 1792, Lucy Orsborn to Frances Phillips in 1797 and William Osburne to Elizabeth Yates in 1798. Ralph Bernald-Osborne was an Esquire of Newtown Anner, county Tipperary, Ireland and of The Kincor of counter Waterford who was also a Justice of the Peace, Deputy Lieutenant, Member of Parliament, and Captain in the Army. 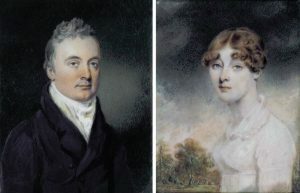 In 1844, he married Katherine Isabella, daughter and heiress of Sir Thomas Osborne, 8th Baronet, and had two issue with her: Edith (married Henry Arthur Blake) and Grace (married William Amelius Aubrey, 10th Duke of St. Albans). He was the son of Ralph Bernal and assumed the surname Osborne by royal license in 1844. The Osbornes of Newtown Anner settled in Ireland in 1558 and became Baronets in the person of Sir Richard Osborne of Ballyntaylor in 1629. 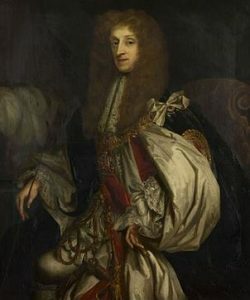 Sir Thomas Osborne, the 8th Baronet, the son of the Right and Honorable Sir William, married Catherine, daughter of Major Smith, and had issue named William (his heir) and Catharine Isavella. He was succeeded by his son William, the 9th baronet, who died and the estates were passed to the wife of the aforementioned Ralph. The Osborne Coat of Arms (mistakenly called the Osborne Family Crest) are blazoned in the European art of heraldry as follows: Quarterly, 1st and 4th, gules, on a fess or, cotised argent two fountains over all a bend of the third charged for difference with a cross crosslet azure, for Osborne: 2nd and 3rd, vair, three chevronels or, on a canton gules a tower argent, for Bernal. Crests: 1st, Osborne, A sea-lion sejant proper supporting with the dexter paw a trident sable headed or, and charged for difference on the shoulder with a cross crosslet azure; 2nd, Bernald, A demi-lion per fess gules and vair langued azure holding a torch or, fired proper. Sir Algernon Kerr Butler Osborn, 7th Baronet, of Chicksands Priory was a Justice of the Peace and High Sheriff in 1909 who was a Captain in the 3rd Bn. Bedford Regiment who was born in 1870. He succeeded his grandfather in 1892. In 1903, he married Beatrice Elliot Kennard, daughter of William Bunce Greenfield, and had three issue with her: Peter Stanley (Captain Royal Fus. And Lieutenant in the 4th Hussars, served in WWII), Danvers Lionel Rouse (married Constance Violette Rooke), and Dorothy (married Gordon Chapman). The Osborn genealogy goes back to Peter Osborn, son of Richard, of Tyld Hall who had a grant of the office of Treasurer’s Remembrancer to himself and his heirs, in the reign of Edward VI, and in 1576, he purchased Chicksand Abbey. He married Anne, daughter of Dr. John Blyth, and had eleven sons and eleven daughters with her. His eldest son was Sir John Osborne. John married Dorothy, daughter of Richard Barlee of Elsenham Hall, and died in 1628, leaving issue. His eldest son was Sir Peter Osborn, Knight of Chicksands, who married Dorothy, daughter of Sir John Danvers of Daunstey, and had issue with her. 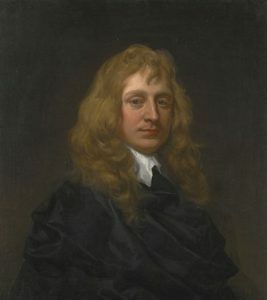 His eldest son was Sir John Osborn, 1st Baronet, of Chicksands, who was created a Baronet in 1661. In 1647, he married Eleanor, daughter of Charles Danvers of Dauntsey, and had two daughters and a son named John (2nd Baronet). The Osborn Coat of Arms (erroneously called the Osborn Family Crest) is blazoned in heraldry as follows: Argent, a bend between two lions rampant sable. Crest: A lion’s head erased argent, ducally crowned or. Motto: Quantum in rebus inane. The branch of this tree of the Osborne family tree begins with Sir Richard Osborne, 1st Baronet, of Ballentaylor, and of Ballylemon, county Waterford, was a Joint Clerk of the King’s Courts in Ireland 1616-29, who was a Baronet of Ireland in 1629. He sided with Parliament in the Civil Wars and was forced to surrender his castle of Knockmoane in 1645. He married the daughter of Roger Dalton and had four children with her: Sir Richard (2nd Baronet), Nicholas (of Cappagh, had issue named Sir Thomas, 5th Baronet, Grace, and Pierce Power), and John (attended Trinity College Dublin),Roger (married Mabel, daughter of Sir Percy Smyth). Richard was succeeded by his son, Sir Richard Osborne, 2nd Baronet, who was admitted to Gray’s Inn in June of 1628, and was a Member of Parliament for Dungarvan, as well as High Sheriff. Several generations late came Sir Francis Osborne, 15th Baronet, who was a Justice of the Peace in Sussex and was born in 1856. 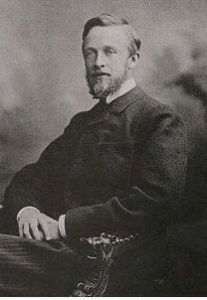 He succeeded his cousin in 1879, and in 1890, he married Kathleen Eliza, daughter of George Whitfield of Cornwall Gardens, and had issue with her as follows: George Francis (Lieutenant Colonel of Royal Sussex Regiment, served in World War I, married Mary Grace Horn, had issue Peter George, James Francis, Jennifer Jane, and Caroline Mary), Derrick (Lieutenant of Durham L.I), Dorothy Eileen, Kathleen Muriel (married Jack Chambers of Winnipeg), Rosemary Estelle (married Donald McEwen McIntyre of Kundaly Estate). The Osborne Coat of Arms (sometimes mistakenly called the Osborne Family Shield) has the following heraldic blazon: Gules, on a fesse or cottised argent, two fountains proper over all a bend of the last. Crest: A sea lion sejant proper holding in the dexter paw a trident a 3 headed or. Motto: Pax in bello. This family resided at the The Grange, Framfield, Sussex, England. Marjorie Pearl Osborn (born in 1905 in Oklahoma, married William Henry, had a daughter named Betty J. Amrine who was born in the 1920, the mother of Robert VanDyne). Thomas Osborne was recorded as living in Virginia at “ye Colledge Land” in February 1623. He arrived in the Bona Nova in November of 1619 and was a Lieutenant. Jenkin Osborne was recorded as living in Virginia at “West and Sherlow hundred Iland” in February 1623. He arrived at the age of 24 aboard the George in 1617, under the muster of Robert Milner. Raph Osborne was recorded as living in Virginia at “Elizabeth Cittye” in February 1623. He came aboard the Bona Nova in 1619 when he was 22 years old. Richard Osborn, age 22, came to the Barbados aboard the Hopewell in February 1634. 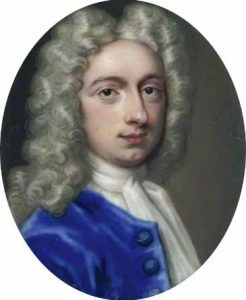 Moses Osborne was a convicted rebel (Monmouth’s Rebellion in 1685) who was sent to the New World, as was Walter Osborne. Samell Osborne owned 40 acres of land and 22 slaves in St. Michael’s parish in the Barbados. 2) James Osborn of Springfield, in 1646, married Jouce Smith, and had issue Elizabeth (1647), Mary (1650), Sarah (1658), James (1654), and Samuel (1664). He moved to Hartford, CT and died in 1676. 3) Jeremiah Osborn of New Haven, perhaps the brother of Richard. He was a tanner by trade and married Mary and had children named Rebecca (1642), Increase (1643), Benjamin (1647), Mary (1653), Elizabeth (1655), Jeremiah, Joanna, Thimos, and Elizabeth. He was a representative from 1672-1674 and died in 1676. 5) John Osborn of Windor who in 1645 married Ann, daughter of Richard Oldage and had issue with her named John, Ann, Nathaniel, Samuel, Mary, Hannah, Samuel, Esther, Isaac, and Sarah. He died in 1686. His daughter Ann married Humphrey Prior (had two sons), Mary married Josiah Owne, and Hannah married Elias Shadduck and later Benjamin Eggleston. 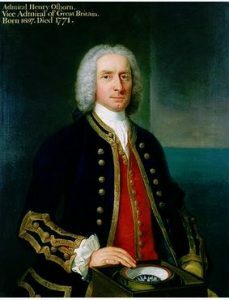 6) Recompense of Osborn of New Haven, Connecticut, who was believed to be the son of Thomas or perhaps William, and taught school in New Haven. He later moved to East Hampon on Long Island and his death was prior to the Magnolia of 1698. 7) Richard Osborn of Hingham was one of the first settlers there in 1635, and he moved to Connecticut and served in the Pequot War in 1637. He moved to New Haven and had a child there. He them moved to Fairfield and had a granny of 80 acres there for his military service. He had issue John, Daniel, Elizabeth, Priscilla and others. 8) Thomas Osborn of Charlestown in 1644, was a free man four years later, with wife Hannah had issue named Sarah (1647), Thomas (1649), Mary (1652), Martha, John, and otherts. The name is sometimes spelled Ozbon in the records of Middlesex. 9) Thomas Osborn of New Haven, likely the brother of Richard, had a sizeable estated. He had six children. He moved to East Hampton, Long Island, New York in 1650. He had issue named Thomas, Jeremiah, and John. 10) William Osborn of Salem in 1630 who was a freeman in 1639. He moved to Dorchester and married his wife and had issue named Recompense (1644), H.C. (1661) Hannah, Bezaleel, and others. He was a merchant who had over 1,000 pounds by 1662. Other early settlers in colonial America bearing this surname include Charles Osborne (Virginia 1702), Peter Osborne (Philadelphia 1711), Nathaniel Osborne (South Carolina 1712), Alice Osborne (Virginia 1714), and Edward Osborne (Virginia 1717). In Australia, one of the first settlers with this surname was John Osborne, a convict from Suffolk, England who came aboard the Ann in August of 1809, living in New South Wales (then a penal colony). In New Zealand, Joseph and Elizabeth Osborne, aged 31 and 30, respectively, assumed to be husband and wife, came to Port Nicholson in 1841 aboard the Gertrude. Joseph was a stonemason by trade. Charles Bolton’s American Armory (1927) contains one entry for this surname: Argent a bend sable between two lions passant of the second. Crest: a lion’s head under a ducal coronet. Miss Violet Osborn, Hingham, Mass. Painted by Mrs. C. C. Lane. Crozier’s General Armory (1904) and Matthew’s American Armoury (1907) and Bluebook do not contain any entries for this last name. There are hundreds of notable people with the Osborne surname. This page will mention a handful. 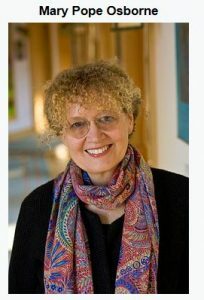 Famous people with this last name include: 1) Adam Osborne (1939-2003) who was a Thai-born British American book and software published who founded several companies in the US and elsewhere, considered a pioneer in the field of computer engineering, 2) Bobby Osborne (1931) who is an American bluegrass musician known for his mandolin playing who was born in Leslie County, Kentucky, 3) Charles Wayne Osborne Jr. (1973-2012) who was a defensive tackle born in Los Angeles California who played for four different NFL teams from 1996-2000, 4) Dorothy Osborne (1627-1695), who an English writer of letters, born in Chicksands Priory, Bedfordshire, the wife of Sir William Temple, 5) George Gideon Oliver Osborne (1971) who is a British conservative politician who served as Secretary of State from 2015-2016 and the Chancellor of the Exechequer under the Cameron administration, 6) James Osborn (1857-1928) who was an English soldier who fought in the First Boer War and the Anglo-Zulu who was born in Wigginton, Hertfordshire and received a Victorian Cross for his gallant conduct at Wesselstroom, 7) Joan Elizabeth Osborne (1962) an American singer and song writer of various genres who was born in Anchorage, Kentucky and is best known for her 1995 song “One of Us”, 8) Mary Pope Osborne (1949) was an author of children’s books, best known for her series Magic Tree House, and was born in Fort Sill, Oklahoma, 9) Matthew Wade Osborne (1957-2013) who was a professional wrestler born in Charlotte, North Carolina, best known for playing Doink the Clown in WWF during the 1990s, and 10) William Osborn (1837-1887) who was an American soldier born in Boston, MA who received the Medal of Honor during his service in the Apache Wars in the Arizona Territory in the 1870s. The two main symbols in the Osborn Coat of Arms (mistakenly called the Osborn Family Crest) are the lion rampant and dolphin. In the days before television and the internet it was a rare heraldic artist that had ever seen a dolphin for real, so we should not be surprised that the heraldic representation is not instantly recognisable. Despite this, we should not forget that these artists considered the dolphin to be the king of fish, playing the same role as the lion in the animal kingdom. For reasons not immediately clear, Wade suggests that the dolphin was regarded as an “affectionate fish, fond of music”.